Fall is a season that really gets my creative juices flowing. There are so many beautiful colors outside. Then there's Halloween and Thanksgiving that inspire so many fun decorating ideas. 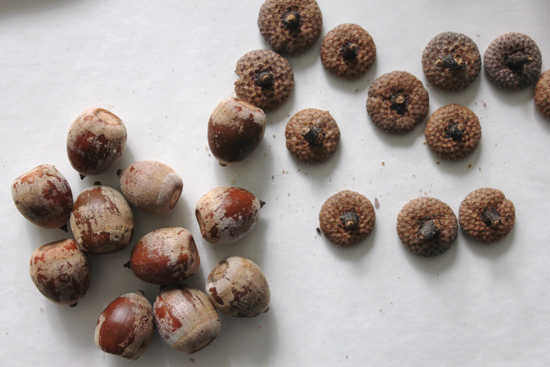 We have an overabundance of acorns covering our driveway and yard right now, so I thought it would be fun if I could use a few for a seasonal craft. 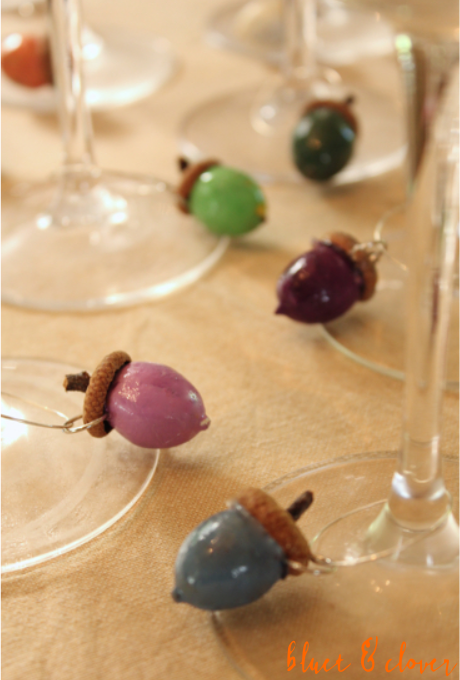 With some paint and a couple of inexpensive jewelry supplies, I came up with these acorn wine markers. They'll be perfect for later this month when I'm hosting my book club's get-together. First, wipe off the nuts with a damp towel to remove any dirt and let dry. 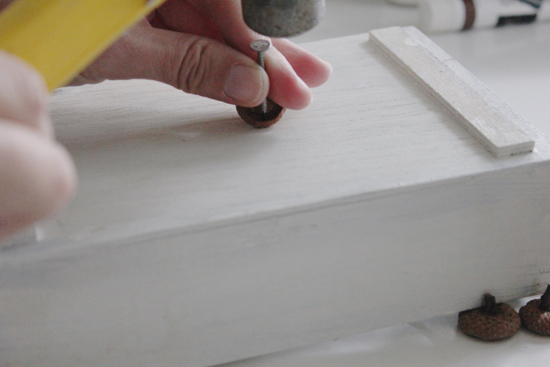 Poke a hole in the acorn top using a hammer and nail. A couple of my tops split when I did this step, so that's why you may need a few extras. Make sure you place something underneath your top to protect your table. You'll want to get the hole pretty close to the edge. Slip a jump ring on and make sure it closes properly before moving on to the other tops. Lay down a sheet of wax paper and start painting the nuts. You'll probably need to apply at least 2 coats. TIP: a heating tool can help speed up drying time. 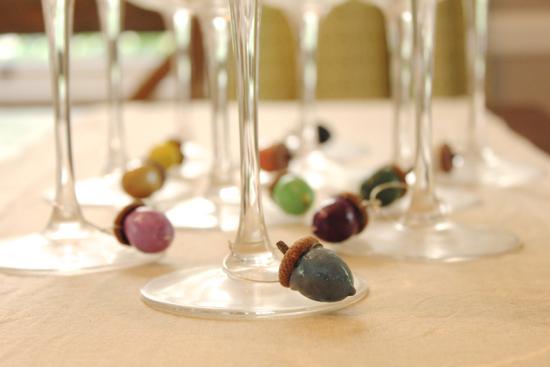 Remember each acorn should be a different color to help your guests identify their glass. 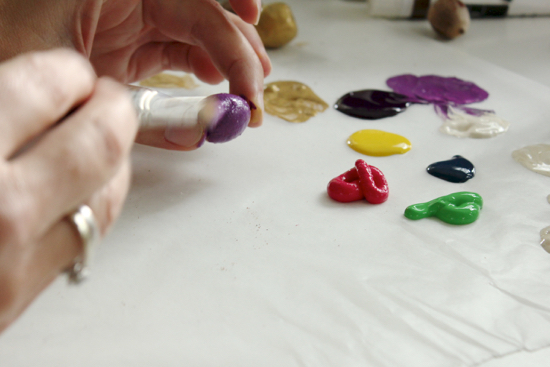 Try blending colors and making pastels with white to stretch out a small supply of paint colors. 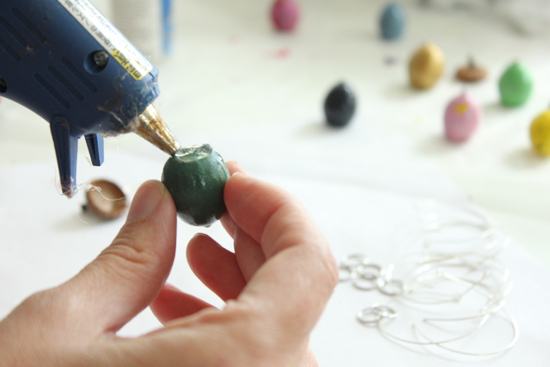 When paint is dry, apply a coat of glazing medium to give the nuts a nice sheen. Set the nuts down on the wax paper and dry. 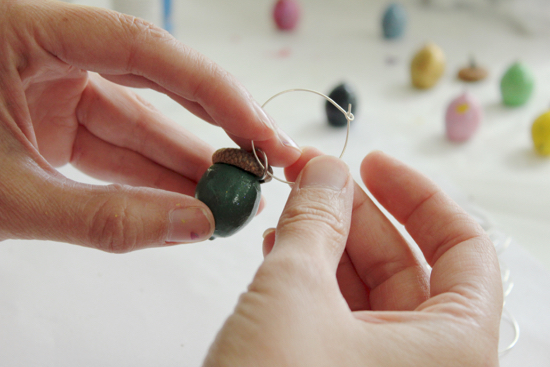 Open a jump ring and insert through the hole in the acorn top. Close the jump ring and insert the earring hoop. 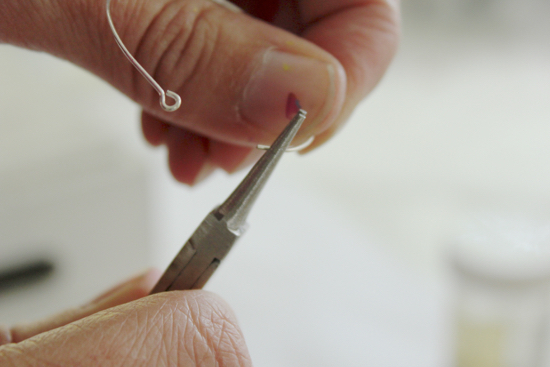 Use needle nose pliers to bend the straight end of the hoop into a hook. Apply hot glue to the top of the nut and attach the tops. Put them on your glasses and get ready for a fun evening! Don't forget to take of your cute wine markers before washing the glasses.